Property Owners and Managers In LA & OC Have Trusted The Commercial Roofing Contractors At Central Roofing Company For All Their Commercial & Industrial Roofing Services Since 1992. Los Angeles commercial property management companies and owners have entrusted their buildings to Central Roofing Company for more than 20 years. We’re a Premier Los Angeles commercial roof contractor serving the majority of cities in Los Angeles & Orange County. We offer a variety of roofing solutions to meet your property needs. Whether your commercial building needs a complete re-roof, cool roof coating system, or simply roof repairs, we will get the roof job completed on time and on budget. Our team of commercial roofers can easily work alongside your project managers and engineers to put together a commercial roofing solution for your project. 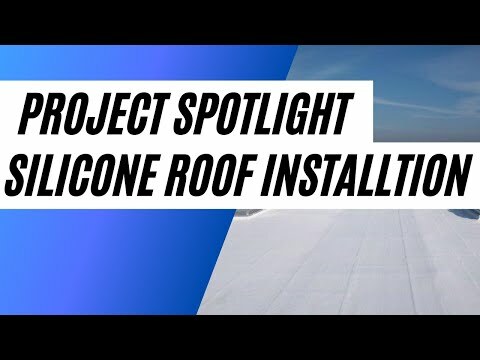 Additionally, we offer expertise coordinating other aspects of the roofing project including, but not limited to AC work, low slope corrections, as well as skylight or solar panel installations. To us, the condition of your industrial roof means everything. That’s why we go above and beyond to offer the very best in roof repair, flat roofing, roof coatings, and more to help your business thrive. After all, a roof is truly a symbol of shelter and protection, and we’re well aware of how vital they are to the overall well-being of your commercial or industrial building. Hotels, churches, apartments, and warehouses all depend on a high-quality roof to keep their day-to-day operations running smoothly. If you own an industrial business building, you probably forget about how critical the quality of your physical environment is while it’s operating. For excellence in roofing services, you can depend on our well-trained team of commercial roofing contractors in Los Angeles for all of your roofing needs, including roof repair, flat roofing, and roof coatings. Our roofing contractors are both friendly and professional with years of training and expertise to deliver the repairs or maintenance necessary for your roof. Some of our most notable Los Angeles commercial roofing clients include 20th Century Fox Studios, Louis Vuitton in San Dimas and Mattel in El Segundo & City of Industry. A few of our largest re-roofing industrial clients in Orange County, CA have included Ingram Micro in Santa Ana, G.E. Aviation in Santa Ana and Canon USA in Irvine. No commercial roof job is too small or large for us to handle. Recent clients have included ACM Technologies and Circor Aerospace in Corona, and PCM Holdings in Riverside. Our team of experts has been repairing, restoring or replacing roofs in San Bernardino for more than 20 years. As such we understand how to properily obtain the necessary permits from the San Bernardino Department of Public Works to make a commercial roof Title 24 compliant. Some of the largest employers of San Bernardino County have hired our roofing contractors. For example, FedEx chose us to restore their 94,800 sq. foot distribution center in Fontana. Other clients have included Pneudrolics Inc. and Searing Industries in Rancho Cucamonga, Gearmore in Chino and Safariland LLC in Ontario. When a Commercial, Industrial, or Warehouse Roof in the Greater Los Angeles Area needs to be restored, repaired, maintained or replaced, property owners hire the Commercial & Industrial roofing pros at Central Roofing Company. Our team can solve any commercial or industrial roofing problem with Title-24 compliant and energy savings solutions. In addition to our many services and systems, we also provide our customers with afree estimate and 24/7 emergency services. In the event of a roofing emergency, you can rely on our team of professional roofing crews and our friendly in-office staff to address your roofing emergency within 24 hours of notification. If you are experiencing roof leaks, earthquake damage, or fire damage. to call us at (310) 527-6770 to get instant help. If you need roof repair, flat roofing, or roof coatings, then make sure to give us a call. We’re roofing contractors who have been in the industry for over twenty years now. Our dedication to our customers and the quality of our roofing services is unmatched elsewhere. If your industrial building in Los Angeles or Orange County requires any of the roofing services that we provide, don’t hesitate to give us a call as soon as possible at (310) 527-6770. Your satisfaction is our goal, and we’ll do everything in our power to provide you with the very best roof for your commercial or industrial building in Los Angeles or Orange County. Our commercial roofing expertise will truly assist you and the needs of your business, and we’re thrilled to be a part of your project.